Thanks to a generous gift, the Earl Mountbatten Hospice is today announcing a rebrand of their organisation – something that is much more than the 16 beds in Newport, it’s an organisation that cares for over 650 people on any given day and offers a variety of other services across the Isle of Wight. Stephen Izatt has gifted the charity a way to better tell the story of how the Island’s amazing fundraising supports Islanders and their families when they need us most. Working with Luisa Parsons, an Island-based member of his team, who has close personal experience of care from our Island’s hospice, a new name and look has been created, which now reflects the many, growing and different services we offer. As of Tuesday 3rd April, the whole organisation that was Earl Mountbatten Hospice will be known as ‘Mountbatten’. The word hospice will continue to be used where it refers to our building in Newport, ‘Mountbatten Hospice’. 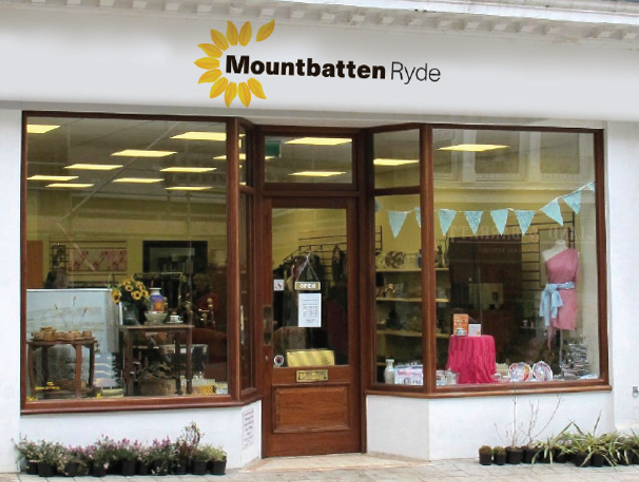 Our ten hospice shops will become more local and relevant to their local populations, for example ‘Mountbatten Ryde’, ‘Mountbatten Ventnor’ and so on. Our Care at Home teams will be known as ‘Mountbatten at Home’, and nurses and carers who work across the organisation will be known as Mountbatten Nurses and Mountbatten Carers. Our Island community will be encouraged to take part in our events in partnership together, for example ‘Walk the Wight with Mountbatten’ and ‘Santa Dash with Mountbatten’ etc. “Often you hear people say ‘the Hospice’ when they talk about our service and usually they mean the 16 beds at our building in Newport. But this is just the tip of the iceberg of what we do. “Thanks to our Island’s fantastic fundraising support, on any one day we also provide 24/7 care to over 650 people who are facing death and dying in their own homes. “People also don’t realise that we have our own team based at St Mary’s Hospital, providing education programmes for professionals and supporting hundreds of patients to return home to the places that the live as quickly as possible. “It is also important to understand that our experts support those living with cancer, but also older people living with increasing frailty, those living with dementia (which is now confirmed as the biggest cause of death across the UK), heart failure and other more long-term life threatening illness. Alongside the new name, a new logo retains the iconic sunflower but it has been simplified with the poignant addition of one petal gently departing from the main flower. There is also a new strapline, which describes the three core elements of Mountbatten’s work: living, dying, remembering. “Our core message is that we want to create and to support a community who can be much more ‘at ease’ with death, dying and bereavement. Most of our work at Mountbatten involves crises management, where people have not given much thought to what they need when they approach the end of life. We must change this, as we know that early planning and open conversation can really change people’s experiences. “It is always difficult, and we understand that it so much easier to avoid talking about it, but we will all die and we will all be bereaved. Our work around this includes a social programme to encourage everyone to use our hospice building in Newport and to not be afraid. Although only a part of our work happens here, we have an amazing building which we want to use to its full potential. As well as Stephen Izatt’s invaluable support, a £10,000 donation specifically given to provide a change of this nature has been made available to launch the new look, which will firstly be used to create new signage for Mountbatten buildings. Without this very specific donation, and without Stephen’s incredible support, we simply wouldn’t have been able to achieve this. We are very mindful of spending precious resources wisely, and we are very clear that we will not waste funding on changing everything at once. We will use up old stocks up before we print new stock, and we will not be changing our uniforms until they have worn out. You may notice that this year’s Walk the Wight will carry our old name and branding, for the reasons described above, and you will still see our old branding for some months to come. 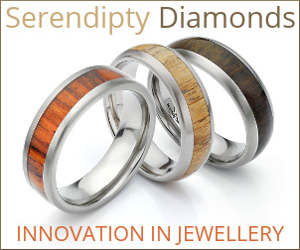 Our thanks to Mountbatten for sponsoring this feature. Please support them, as they and other organisations and businesses taking paid promotion enables you to continue reading OnTheWight for free.